Costumes at camp can make a day a little more special. It allows campers to get out of their normal clothes and into something a little silly. While costumes are not necessary, they sure are fun! However, here at camp we try to be as cost effective as possible. First off, try and reuse old Halloween costumes you may have at home. 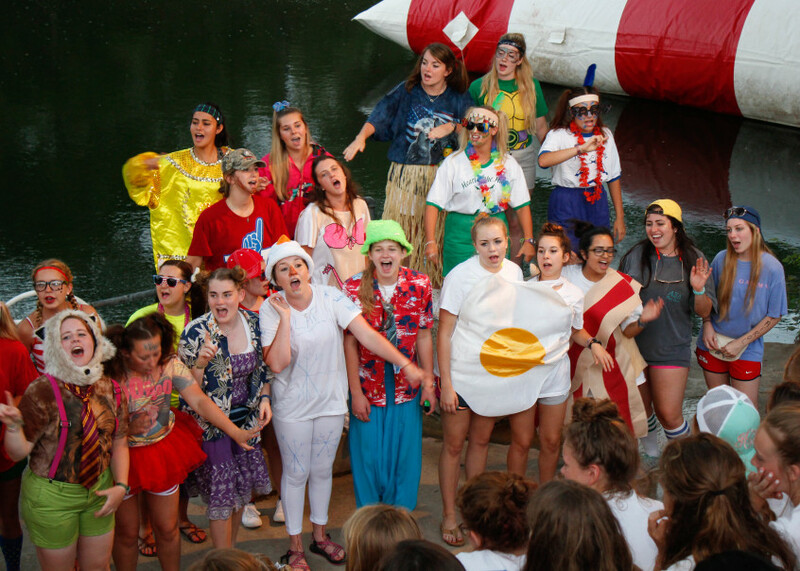 Re-wearing a costume at camp is not a big deal, chances are your camp friends haven’t seen it already. Try asking family friends and neighbors if you can borrow any old or unused costumes. Secondly, shop at Goodwill. You’d be surprised what great finds are at your local thrift stores, and they’re cheap! The further away from Halloween, the better. Good costumes tend to get snatched up quickly if there is a holiday near, so I recommend shopping in the odd months around Spring. Another great idea is to make your own costume! Even for those lacking creativity, Pinterest can help with the brainstorming. Your camper can piece it together and will be proud to show it off. What’s better than a little crafty bonding time? Last but not least, an easy route to go is through a themed tshirt. Local stores have quite the selection of themed tshirts that make dressing up easy. It also lets campers move about freely in competitions on Field Days. Iron ons or puffy fabric paint can be added for a more personalized tshirt look with your camp friends. For more ideas, check out the pictures below!